It recently emerged that African communities struggle to gain access to credit despite excellent repayment history. The revelation was made by the UK based financial service provider, who found that despite having figures showing African customers to be some of the most reliable at repaying loans, they are still denied the facility. 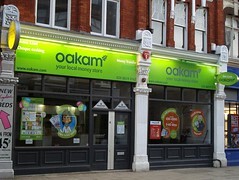 Oakam, who have customers from over 126 countries, has hit out at banks that declined lending money to Africans insisting that customers from Africa rarely default on their repayments, but despite their credit worthiness, they still find it extremely difficult to obtain credit from mainstream banks especially if they just migrated to UK from African countries. Banks defended their stance by stressing the fact that customers with virtually no credit history are simply too risky and as such it is virtually impossible to provide such people with any credit facility since they cannot vouch for their ability to pay such loans back. But this view was cast aside by Oakam CEO who reiterated the fact that such a hard stance must change totally, he insisted. Oakam further revealed that Africans caught under this draconic banking policy face higher charges for cheque cashing and utility bills making the financial strain even harder. Oakam was established in 2006 and has been at the forefront of building exceptional customer relationships and rewarding good payment behaviour instead of penalising customers on missed statements. Isn’t it amazing that banks, those who are most untrustworthy among all the people on this planet, feel that they can judge the trustworthiness of others? Some banks, believe they are better than other banks simply because of their customer service, and in the case of this blog, Oakam believed they sumpathise more with the common man. It’d just a case of the kettle calling the pot black! Thanks for your comment Danny and for visiting!! So very good and important to make these discriminating practices public! This is the daily obscenity that banks feel they can get away with. The more who see it openly exposed, the more difficult it will be for these criminals disguised as “respectable bankers” to get away with it. Thank you! Thank you for your comment, I agree with what you said, hopefully when their sharp practises are revealed, people would be more aware of their criminal tendencies. Interesting. For comparisons, look at what the micro-credit providers such as Grameen do, or in the UK the credit unions, and the very small building societies such as the Ecology BS. And thanks for folllowing! Will do, thanks for your comment and for visiting my blog! It astonishes me, absolutely astonishes me. I mean: it is 2012, nearly 2013. How SLOW is human progress?????????????? Nice article! never forget, we are only some smal pieces on a game table! You’re right Razvan! Thanks for stopping by my site! I have to thank you becouse you response me! Thank you Maxima for the award, really appreciate it!! Thanks so much for following my blog. I hope you enjoy it. I do, I hope you like mine too. Thanks for stopping by! I do and would always be back. Thanks for stopping by!